A three-row vehicle that is designed to tackle the toughest obstacles and roads awaits you at our dealership. The 2019 Subaru Ascent is available at our dealership serving Boulder Denver Colorado residents. We have the best 2019 SUV models available for your situation. This is the most significant model ever made, and it's designed to be able to take your entire family along with you on an exciting journey they are not likely to forget anytime soon. Come down and explore this vehicle with us, and we will help you to get an incredible deal so that you can enjoy your life more than ever before. The exterior features of this remarkable vehicle are substantial. Starting with the smart aerodynamic design, you'll notice that the car has intelligent, athletic molding and a healthy, sculpted look. The vehicle comes standard with 2-0inch aluminum-alloy wheels on the Limited trim. The Limited trim also has a power rear gate and keyless access system. All models feature a unique cabin that is designed to get rid of excess noise so that you can enjoy your ride and communicate with people inside the cabin with even greater ease. When you come down and visit our dealership, you'll be able to find a host of features that can help you to improve your ride and have a brilliant looking vehicle that grabs the attention of the crowd. 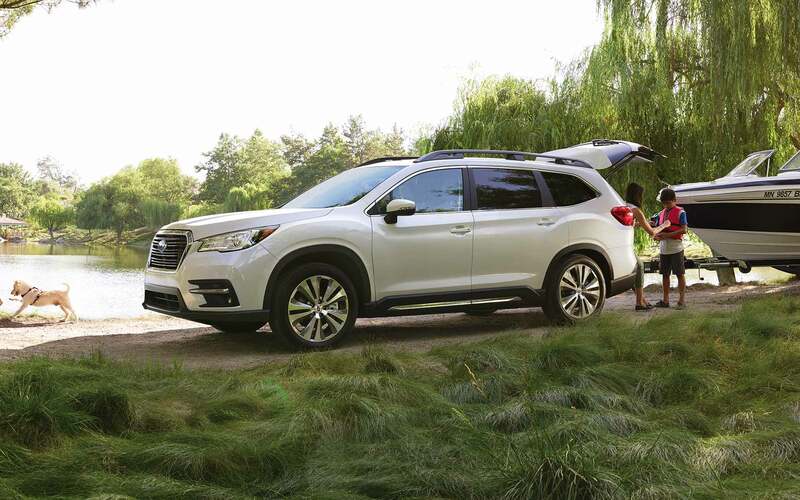 The 2019 Subaru Ascent is available at our dealership serving Boulder Denver Colorado residents. We have the best 2019 SUV models available for your situation. 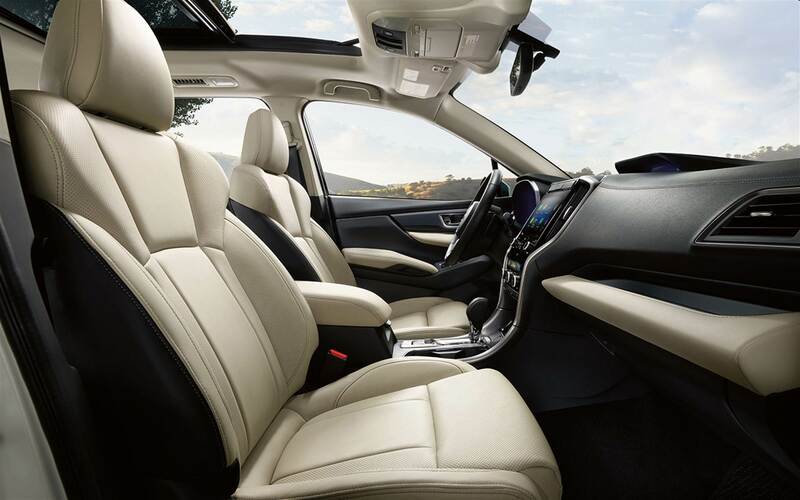 With four trim levels to choose from, you will be able to find the options that you need to be satisfied. The base-level model comes with your choice of slate black cloth, warm ivory cloth, slate black leather, warm ivory leather or java brown leather seating surfaces. The Premium model comes with similar interior seating options, and it also includes Wi-Fi capability with the StarLink safety system. You'll also get heated front seats to help you enjoy your trip with even more comfort. The Limited trim comes standard with leather-trimmed upholstery, and you'll also get a push-button start system and several possible interior colors. The Touring model was made for longer trips, and it includes second-row captain's chairs, java brown leather-trimmed upholstery, a panoramic power moonroof and Harman Kardon Premium audio system with 14 speakers. 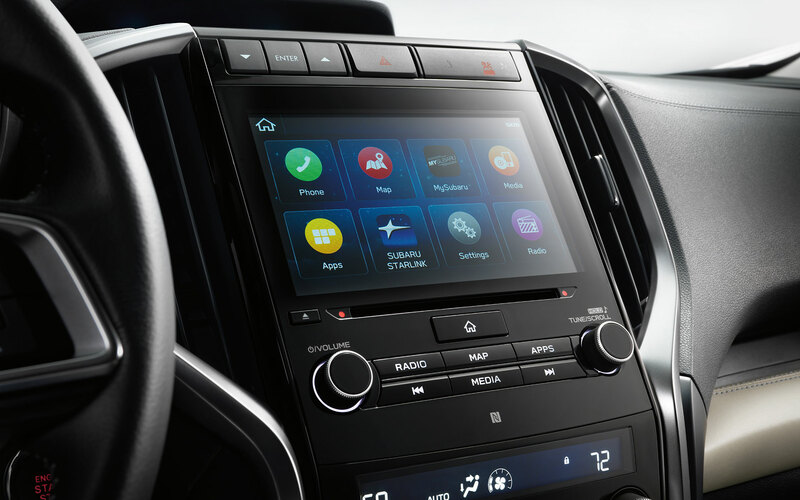 Besides the comfort features, you'll also get hands-free voice command options to control your music and communications using your Android or Apple smartphone. Contact our dealership online, by phone or by stopping by Flatirons Subaru for a review of the new Subaru Ascent. A sturdy cage is built around smart technologies that are designed to provide you with an exceptional level of mechanical prowess. All-wheel-drive comes standard on all vehicle models, and you'll love how stable and secure this system makes the vehicle feel. You'll also get a smart system that is designed to help keep your passenger's comfortable thanks to the suspension that is designed to monitor all sides of the vehicle carefully. Maintain good balance and a fluid ride when you take this car out for a test drive. You'll also have plenty of power and capability so that you can tow up to 5,000 pounds when you choose the Premium trim or higher. Contact our dealership online, by phone or by stopping by Flatirons Subaru for a review of the new Subaru Ascent. A powerful engine is essential in a vehicle that can tow up to 5,000 pounds and bring along eight of your closest friends or family members. This car features a turbocharged 260 horsepower engine that is capable of helping you get anywhere you need to go with ease. You'll have remarkable power to increase your ability to tackle those hills and valleys on the road and get a whole new view of those high mountain passes. This vehicle is designed to take you safely and securely to your destination. 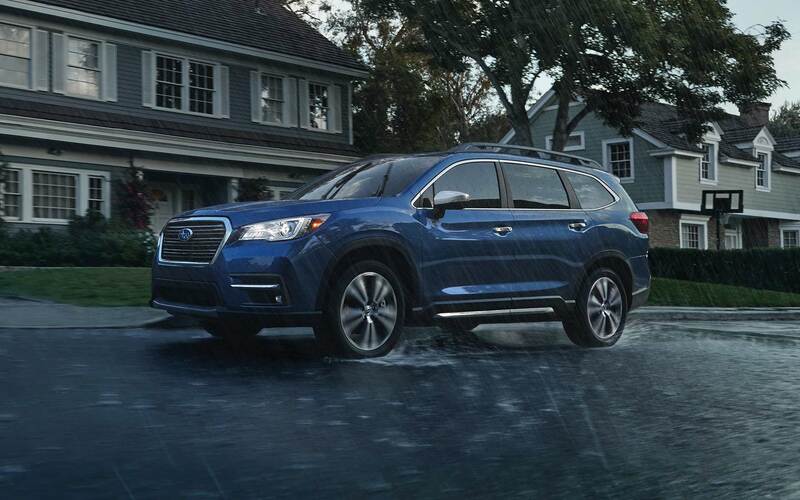 The 2019 Subaru Ascent is available at our dealership serving Boulder Denver Colorado residents. We have the best 2019 SUV models available for your situation. 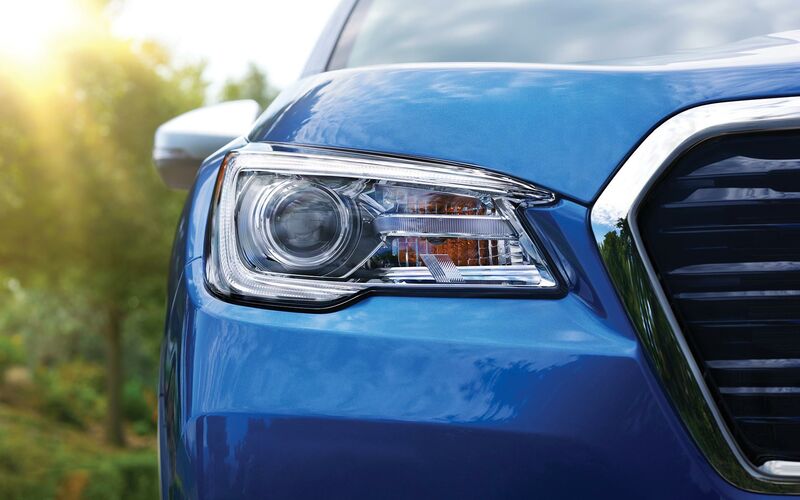 With the standard EyeSight Driver Assist Technology, you'll be able to drive more efficiently in most conditions. The system makes it possible for you to anticipate what is to come and prepare for potential dangers on the road. Autonomous features can help you come to a stop more efficiently, avoid a collision and reduce the impact of a crash should one occur. Additional safety features are also available so that you can get a whole new level of security when you equip the vehicle optimally. The car also has a high-strength steel body structure that can resist most intrusions into the cabin. With the Premium model and higher, you'll get the Starlink safety and security system that comes with Wi-Fi capability so that you're never really alone on the road. Contact our dealership online, by phone or by stopping by Flatirons Subaru for a review of the new Subaru Ascent. Give our dealership a call so that we can help you get a deal on your next purchase. We will look through our available cars on our lot to find you a vehicle that you can be happy with. When you come down and see us, we will work with you to ensure that you get great financing options and never have to worry about a high monthly payment that you simply can't afford.